Department of Posts, New Delhi invited applications for the post of Motor Vehicle Driver. The eligible candidates can apply through the prescribed format within 60 days (29 June 2017) from the date of publication of the advertisement in the Employment News. Department of Posts, New Delhi Jobs Notification: Department of Posts, New Delhi invited applications for the post of Motor Vehicle Driver. The eligible candidates can apply through the prescribed format within 60 days (29 June 2017) from the date of publication of the advertisement in the Employment News. Last Date of Application: Within 60 days from the date of publication of the advertisement in the Employment News. M. V. Driver (Ordinary Grade): Possess Matriculation (10th Standard) Pass or equivalent with a valid Driving License of Light and Heavy Motor Vehicle and knowledge of Motor Mechanism. M. V. Driver (Ordinary Grade): 03 years. 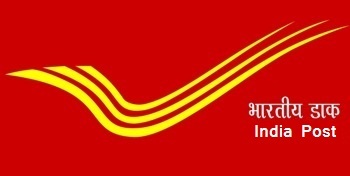 Eligible candidates can apply to the post through the prescribed format and send the applications along with other necessary documents and enclosed an envelope affixing a postal stamp so as to reach to the office of the Senior Manager, Mail Motor Service, Naraina, New Delhi – 110 028 within 60 days from the date of publication of the advertisement in the Employment News.